Owners of homes near the future second runway at Dublin Airport are to be offered 30 per cent above market value to sell up. 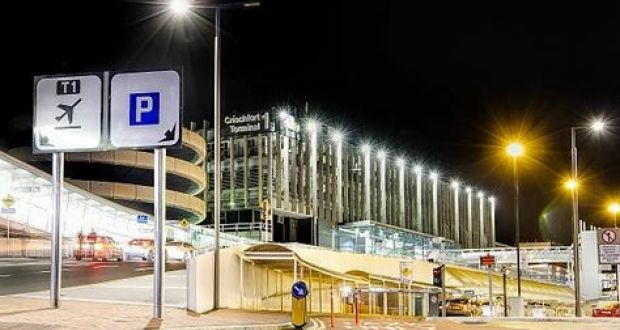 Last year Dublin airport management (DAA) proposed a premium of 20 per cent for the potential acquisition of 38 properties, but has now decided to raise its offer. Interested parties will have three years after the second runway opens, expected in 2021, to make up their minds. Their homes will not be subject to a compulsory purchase order. Plans for a second runway at Dublin were granted planning permission in 2007, but postponed once the economy went into decline. In recent years, and alongside record passenger numbers, the project has been revived. Under the terms of planning, properties located within a specific “noise contour” area around the airport, where volumes reach 69 decibels or higher, qualify for the voluntary purchase scheme. This area has shrunk in the last 10 years due to improvements in airline technology, and now includes just five homes. However, DAA has decided to extend the purchase offer to the same home-owners who would have qualified under the original 2007 scheme. The level of take-up is not clear, and DAA declined to comment although it is understood some owners would be seeking more compensation than is on offer despite the increase. The properties themselves are not necessary for the construction of the runway. A sound insulation programme is also available even for those who have not made a final decision on whether to sell. In a letter circulated to local councillors, seen by The Irish Times, DAA said it would pay for home owners to obtain their own valuations every nine months, at up to €1,500 per valuation. It will cover conveyancing fees of up to €4,000 for the sale and purchase of a replacement home. The authority said it would cover legal costs for solicitors included on a panel, and refund money paid to obtain tax advice up to €500. Owners have been offered €4,000 toward stamp duty on new homes, as well as €2,500 for moving costs. “Valuation of properties will be undertaken using a market value approach and using a depreciated replacement cost approach if there is no market,” the DAA wrote. There will be a valuation appeals process with the Society of Chartered Surveyors of Ireland, and where there is a difference of less than 5 per cent between two valuations, DAA will make a revised offer of the mid-point between them. Local independent councillor Joe Newman, a community liaison for residents on airport-related issues, was reticent about the offer. Initial construction works began on the site of the second runway last December, with more substantial activity expected next year. DAA is seeking to remove two “onerous conditions” to the existing planning which limit the total number of night time flights to 65. A legislative framework for a new EU airport noise management regime in Ireland is due to be published shortly, and DAA has said it will make its application to have the two conditions remedied once this new system is in place.